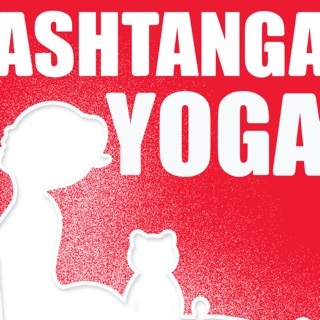 Ashtanga Yoga Days helps you make sense of what is happening to you both physically and mentally during your practice, by encouraging you to log your experiences and then presenting them in a way that invites contemplation and progress. * Helps you log the time and duration of your practice. You can add comments, done asanas and detailed statistics (focus, intensity, strength, etc.) to the entry as well. * Helps you see your progress and interesting trends in a summarized view of weeks and months of practice. * Provides you with the amount of calories burned per practice and helps you track your weight alongside the practice. Useful when figuring out correct nutrition. Synchronizes with Apple Health, and Activity Rings if desired. * You can see when the next major moon phase is, or check all future and past phases on the moon calendar. Much easier to plan your practice accordingly! * Shows you interesting (and occasionally fun) achievements gathered over the whole time you practice with the app. Bug related, we finally caught the one responsible for not showing all people who practiced. In the last major update, we've redone the home screen of the app from the ground up, for a much more focused, informative and beautiful experience :) You can now find interesting statistics, and even an app-wide number of people who have already practiced there. We've also improved the way journal charts are presented and added charts to month view. And brought back weekly and monthly summaries in a new and beautiful form (you can find them below entries). Continuing on the quest for overall optimization, we made the app even more snappy and fluid to use. As usual, we are open to suggestions and would love to hear about your experience with the app. Thank you all for your support! Namaste! Is this app just counting the days? Is this app just for counting the days you do the series?